My husband, Jeff, had a pilot’s license when we got married but he wasn’t flying at the time. After food, mortgage, kids etc., there was no money left over for such frivolity. Fast forward 20 years – house paid off, kids moved out = more disposable income. Jeff got back into flying; renting airplanes from the local fight school, but renting turned out to be a bit frustrating. Sometimes the airplane he liked was not available when he wanted it. Sometimes there was no airplane at all. His solution? BUILD an airplane. That’s right…BUILD one! A full size, four seat airplane that we would eventually, (theoretically) fly in! To be fair to Jeff, he is very smart and is good with his hands. He has built several very good quality items, including a cabinet for our TV and a free standing workshop at our cottage. Also, he is an electrical technologist, so he is very technical and mechanical. In the words or our son, that’s an epic project! Jeff began the process by doing research. He regaled me with stats and specs and the pros and cons of the various aircraft designs that he was researching (yawn). He visited air shows where the manufacturers had displays of their finished airplanes. Apparently, they had flown the airplanes to the show (to demonstrate that they actually flew, I suppose). He narrowed it down to two kits. Yes… a kit. Like a big airplane model, but instead of plastic held together with modelling glue, he would build it with aluminum held together with rivets (23,000 rivets, as it turns out). Pretty ambitious, if you ask me. I started to get interested when two things happened. The first was that he announced that he was going to make it a float plane, so we could fly it to our cottage. How very cool! The second was that he started to spend money doing the research. He flew to the west coast and to Montreal to tour the factories of the manufacturers of the short-listed kits. That was when I knew that he was serious. So I started asking questions. How many people actually build and then fly their own airplanes (lots). Where are you going to build it (the garage and basement). How long does it take to build an airplane (3 to 5 years, which I doubled to 6 to 10 years, based on historical “Jeff data”). How long would it take to fly to the cottage (45 minutes instead of a two hour drive). Would there be room for groceries and the cooler (yes, lots). How far could we fly in this airplane (all over North America). How much does the fuel cost (just a little more than auto fuel). There were additional questions that I should have been asking. How much does it cost to rent a hangar to build the airplane, since I refuse to park my car on the driveway in the winter and it’s kinda hard to bring an airplane up from our basement (lots). How long does it really take to build an airplane (7 years later, still tbd). How long does it take to drive to the airport, do the pre-flight, start-up, run-up, taxi, etc, in preparation for flying to the cottage (one and a half hours). How much fuel does it use (lots). How much are the maintenance costs (lots). But, by this point, there was no turning back. He was committed. Actually, I should have had him committed, especially after I learned that the “E” in “EAA”, an aircraft association that he joined, stands for “Experimental”. EXPERIMENTAL!?!? Fantastic article Lesley! 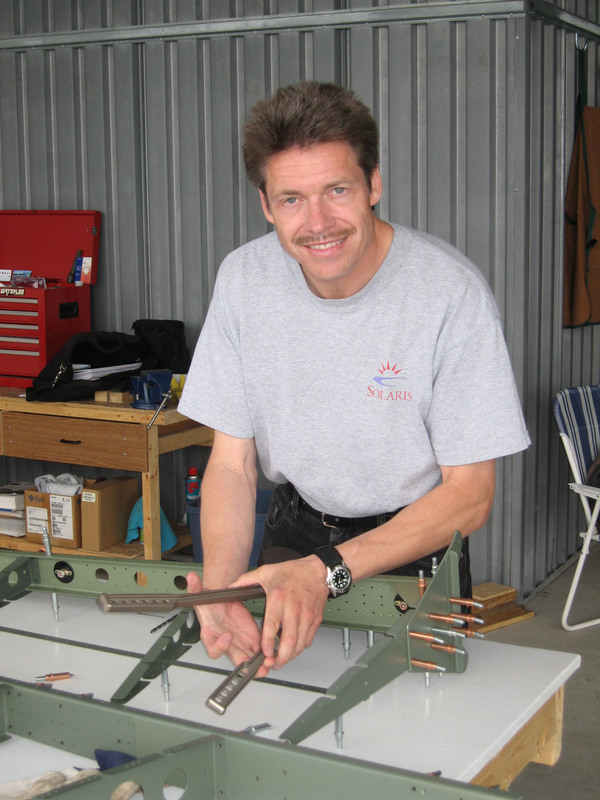 I have a question… how does the EAA define an experimental aircraft? It sounds like your new float plane will have all of the characteristics of a good sized Cessna or similar, so why is it an “E”? The Federal Aviation Administration in the US (like our Transport Canada) lumps many aircraft types that are not certified, production aircraft into the “Experimental” classification. Sub-categories include warbirds, airshow aircraft and amateur-built aircraft. 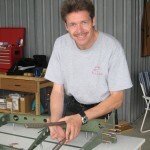 In Canada we have a “Amateur-Built” type specifically for aircraft fabricated by an individual for recreational purposes. Homebuilt aircraft are frequently one or two seat aircraft, but the law allows for building an aircraft with up to 6 seats. So by that definition, our 4-seater float plane will qualify as an “Amateur-Built” (in Canada) and “Experimental” (United States). Check out my latest post, where I describe how we came to be owners of a certified Cessna 172.